The healthiest knowledge bases are constantly iterated and improved upon over time, which we know only happens if agents and team members are empowered to contribute to and maintain the content. But maintaining a healthy knowledge base also means taking advantage of innovations that automate the process as much as possible. 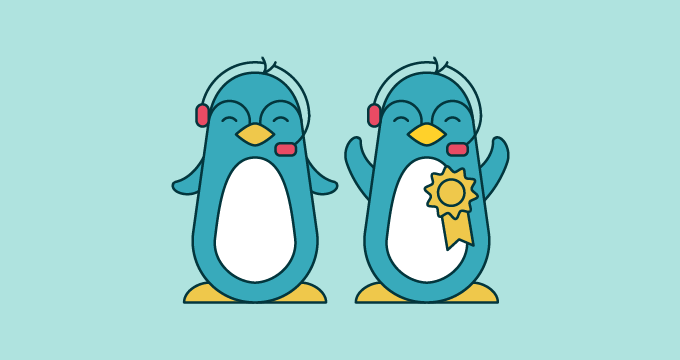 Using the Zendesk Benchmark, an index of product data from 45,000 participating Zendesk customers, we looked at a sample of 500 help centers to learn what set the best ones apart from the rest. The conclusion was that the best way to maintain a knowledge base was with an agile and iterative approach. Here are four ways to ensure an agile and iterative approach is supported with the newest help center technology, for the benefit of your team, your knowledge base, and your customers. 1. Sketch a plan for managing existing content and adding new material. A budding knowledge base can seem (and actually be) a mess of shared documents and folders; this was definitely the case for one Zendesk customer, FINALCAD, before the support team implemented a help center solution. A lot of teams and agents may think that their ad-hoc documents, tips, and tricks might be too messy to share with the rest of the team—much less publish for the world to see. But a key step in adopting an agile approach is by leveraging all your sources of content, even if they may be internal documents that need a little polish before they’re ready for customers. A Guide integration, the Google Docs Importer, was made for teams just getting their agile help centers up and running, or those who want another tool to facilitate the addition of more material over time. The Google Docs Importer allows users to connect their help center with a Google Drive account, select documents to import, and create sections to populate. Once the documents are imported, you can arrange, review, and publish them when they’re ready. Even if these drafts aren’t ready to be published, corralling all of the pieces of knowledge into your evolving help center means you don’t have to start from square one—thereby saving valuable time. Additionally, Guide’s Knowledge Capture app helps agents fill knowledge gaps on the fly. It provides helpful knowledge base recommendations to agents in the middle of a Support interaction, allows agents to flag outdated content from an existing help center, and enables agents to contribute new content directly from the agent interface. Agents across your team can reap the benefits of this engagement with every interaction. 2. Put the right people in the right roles. Organizing and managing existing content is key, but so is implementing the right review and publishing process for customer-facing content. In order for the whole team to feel involved (and for admins to stay on top of things) establishing roles to evolve help center content over time is a must. That means managing the lifecycle of agent-facing content, as well as customer-facing self-service content. According to Forrester analyst Kate Leggett, this requires deciding what user roles will be allowed to create, rework, review, and approve content for publishing. It also requires deciding which authoring workflows to use for content creation; this isn’t done to restrict anyone from the process, but rather to ensure a smooth contribution and vetting process across the team. The Team Publishing functionality within our new Zendesk Guide Enterprise plan makes it easy for large teams to establish a process tailored to the unique needs of your team and business. That includes giving everyone the tools the participate in the process; for example, by giving admins the ability to set up article writing, approval, and publishing workflows, as well as providing full team visibility into where and how each team member can contribute their own knowledge. 3. Promote articles that you know are useful within tickets. Once you start creating and publishing articles that really shine and become go-to resources for your customers, you’ll want to showcase them front and center. Guide users can take advantage of prime real estate in their knowledge base by promoting an article. When you promote an article, it moves to the top of the articles list within its section and has a star beside it, ramping up its visibility. Promoted articles always appear at the top of their section and may even appear on your home page, depending on your settings. This feature boosts the usefulness of your help center, ensuring its most viewed articles are always the most visible and easiest to find. 4. Be a data-driven team. Taking advantage of key real estate to promote your best content is great, but it’s important to have insight into how all of your articles are performing. You can’t build an iterative knowledge base if you don’t measure what’s performing well—or know what you should be measuring in the first place. Metrics give you something to measure and the vocabulary to discuss what’s working and what’s not, telling an important story about how well your team has mastered Steps 1-3, and where you may be able to course-correct. Insights, which are conclusions drawn based on the metrics, are where things get exciting. There are a number of ways you can apply insights to improve your knowledge management practice. Guide ensures data doesn’t fall by the wayside. With reporting that tracks how your customers are searching your help center content, you can understand the best ways to optimize it. These insights are important pulse points on your customer base, showing you stats like the number of new articles and questions created, how many users viewed them, and the number of votes, subscriptions, and comments. Content Cues, a feature of the Guide Enterprise plan, also provides real-time, qualitative insight into the gaps in your knowledge base by automatically analyzing your entire help center and surfacing areas in which it can be improved. 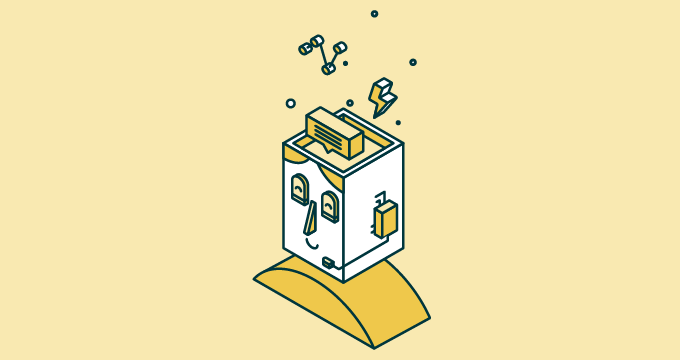 Powered by the same machine learning that powers Answer Bot, Content Cues automatically reviews Zendesk Support tickets and provides suggestions for help articles that should be created if there weren’t ones to address the customers’ issues. Or, if that article exists, Content Cues prompts the team to update it with new content if it was sufficient in answering those questions. Over time, Content Cues helps ensure you have exactly the right content for your customers by filling in all of your knowledge gaps. Sketch a plan for managing existing content and adding new material. Identify pieces of existing content, even if they’re just internal works in progress, because you likely won’t have to start from scratch. Put the right people in the right roles. Establish a review and publishing process to ensure a strategic, organized approach to building your help center that allows anyone to contribute with institutional knowledge, especially your support agents. Promote articles that you know are useful within tickets. Ensure your customers’ experience is relevant from the minute they land on your page by showcasing the most useful content. Be a data-driven team. Continue to ensure you have the right knowledge base content that is effectively helping your customers by using analytics to inform decisions about the health and continued maintenance of your help center. Stay tuned for more tips on setting up roles on a team, ensuring the right people are contributing the right pieces. In the meantime, learn more about Guide, our self-service product, here. Machine learning helps busy teams create and promote the most relevant help center content.